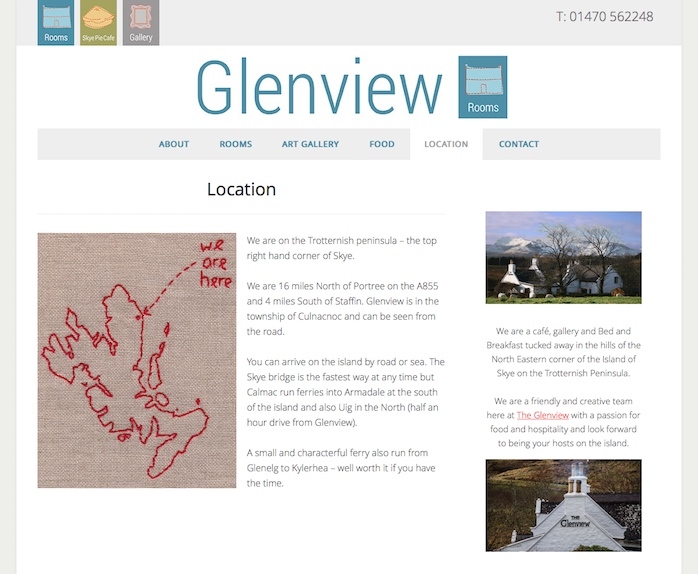 Run by a creative couple with a passion for food and hospitality The Glenview is a cafe, gallery and Bed and Breakfast set in the hills of the North East corner of the Isle of Skye on the Trotternish Peninsula. Skyewebsites were approached to create a website which clearly distinguished the three individual yet interlinked aspects of the business. We created three separate logos using the same design which also function as icons to navigate between The Glenview B&B, Gallery and the Skye Pie Cafe. Inspired by their Red Thread Project, the logos feature an stitching theme which continues throughout the website, adding a touch of creative flare and weaving a thread of continuity between the different services offered by the business. This is picked up on the page detailing location which pictures an embroidered outline of the Isle of Skye. Skyewebsites also did the interior photography for the accommodation and focused on the artistic details in furnishings and upholstery which give the rooms their unique character. 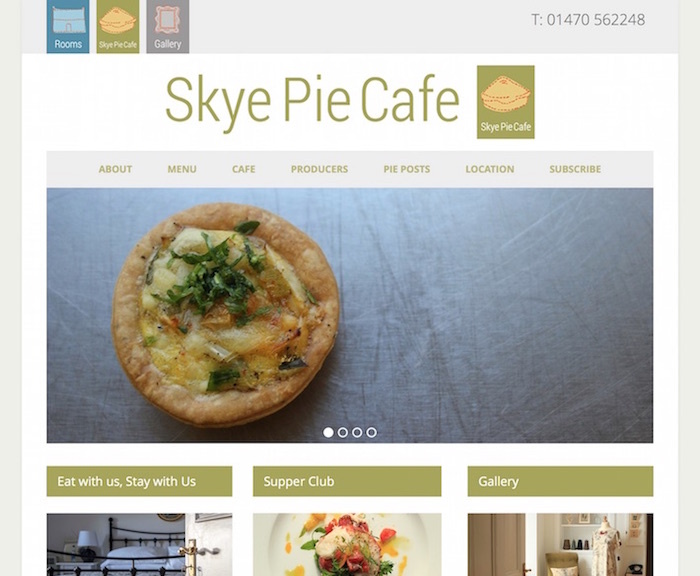 Skyewebsites specialise in the design & development of mobile responsive websites using the WordPress content management system. If you are looking for a website tailored to your own business then why not get in touch to schedule a free consultation.